Product Consists : Spring 20 Euro Milk Chocolate Bar (Weight : 100 gms) along with United States of America Toretto Fifty Dollar Dark Chocolate (Weight : 100 gms). 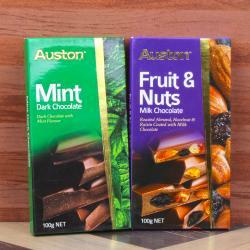 Giftacrossindia.com brings to you this very delicious pack of chocolate combo which is all set to delight the receiver. 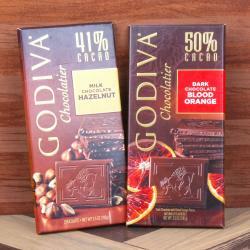 This milk and dark smooth chocolate is very luscious. Gift this wonderful gift item to your loved ones and give them a reason to smile. 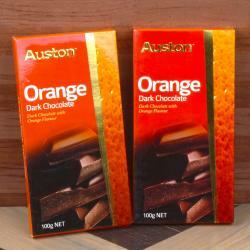 The gift item is chocolate box which is filled with dark anmd milk chocolates. 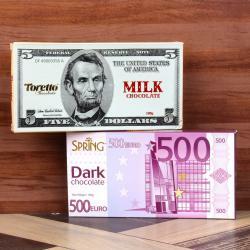 Treat your dears with this one of the amazing chocolate which has a pack of Toretto Fifty Dollar Dark Chocolate design fine dark chocolate in a box along with Spring Twenty Euro Milk Chocolate in a Box. We are offering a hygienic and fine quality dark and milk chocolate to our most reliable customers which are situated all round the nation. Elate your friends and family by gifting this marvelous chocolate combo which is perfect for gifting on any special occasion. 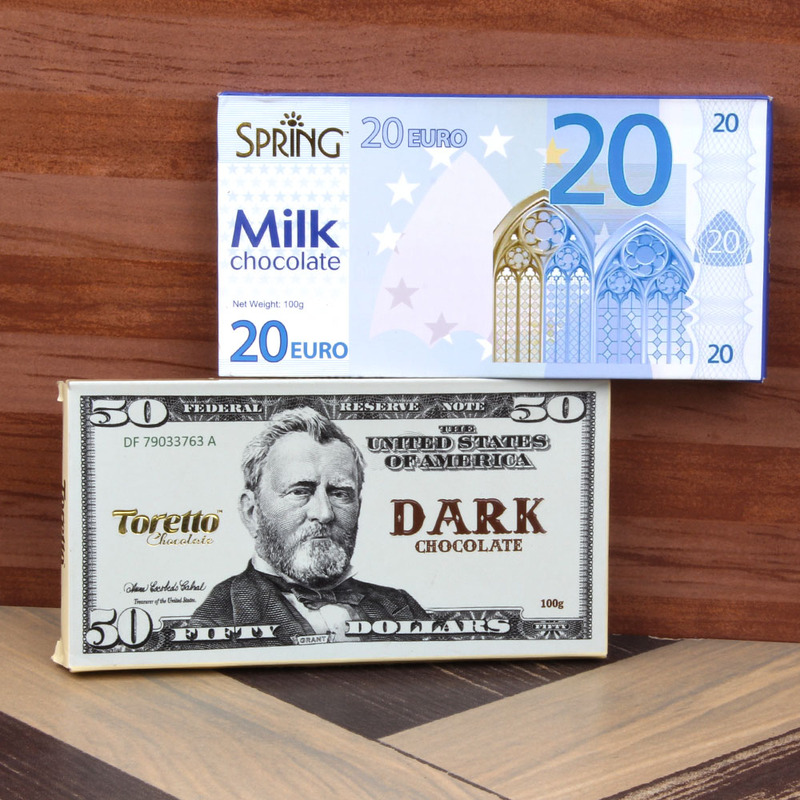 Product Consists : Spring 20 Euro Milk Chocolate Bar (Weight : 100 gms) along with United States of America Toretto Fifty Dollar Dark Chocolate (Weight : 100 gms).